Aborting a child because it has Down’s syndrome violates human rights and can be considered genocide. “Here at the United Nations (UN) there is much sincere talk and normally passionate action to fight against unjust discrimination,” said Archbishop Bernardito Auza, Vatican nuncio to the United Nations. He pointed to a double standard when he appeared before a UN panel last week. After pointing out the inconsistency of this approach, he went on to highlight the violation of those prenatally diagnosed with Down’s syndrome. Although the Convention on the Rights of Persons With Disabilities agrees to promote, protect and ensure the full and equal enjoyment of all human rights, including that of the right to life by all persons with disabilities, the Convention is often is not implemented in practice. “… many members of the international community stand on the sidelines as the vast majority of those diagnosed with Trisomy 21 (Down’s syndrome) have their lives ended before they’re even born,” Auza said. He cited a 2011 study published in the American Journal of Medical Genetics by Harvard University researchers. 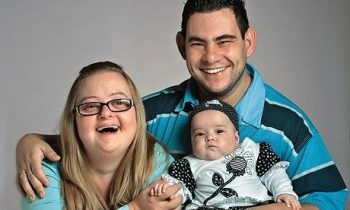 The researchers found most people with Down’s syndrome are happy with their lives and most parents love and are happy with their offspring who have Down’s syndrome. Only four percent “regret having their child,” he said.